How seriously should you take those recent reports of UFO? Many researchers and scientists have thoroughly probed and scrutinized government documents at the National Archives for many years in search of proof that life exists beyond Earth. Many people occasionally see objects in the sky that are not immediately identifiable as planes, balloons, planets, stars, or unusual atmospheric phenomena. It is most likely that evidence of alien civilizations might be seen by astronomers or the sensitive receivers we use to communicate with our own spacecraft might pick the radio signals from alien spacecraft. Perhaps astronauts who venture into space would be among the first to make reliable observations of alien spacecraft or artifacts. Throughout recorded history, UFO sightings have been reported and in various parts of the world. It has raised questions about life on other planets and whether extraterrestrial beings have visited Earth. One such document, known as Project Blue Book, includes declassified UFO Documents from the United States Air Force (USAF), currently is in the custody of the National Archive. According to a US Air Force Fact Sheet, a total of 12,618 sightings were reported to Project Blue Book from 1947 to 1969. Most of the declassified files were released in 2013, again through the National Archives but in 2014 the MoD admitted that it had held back 18 documents because they contained sensitive data the Ministry might not want to release publicly. What needs to be clarified is that there are two types of disclosure. 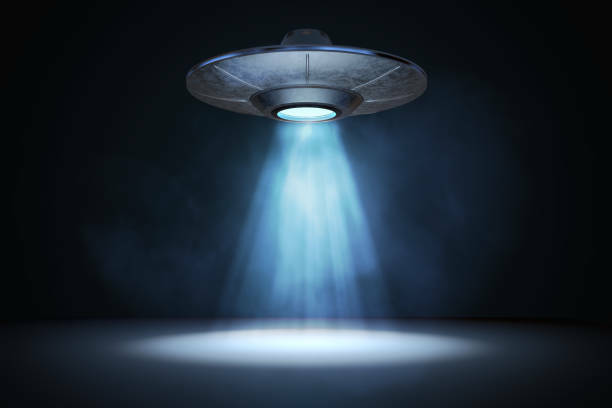 Most researchers, when they refer to UFO disclosure, mean the President stands at the podium and declare the existence of extraterrestrial beings. That would be full disclosure. Disclosure is defined as "the action of making new or secret information known or a fact, especially a secret, that is made known." Government UFO disclosure is someone who has need-to-know revealing information about the UFO mystery that we didn't know before they started talking. Disclosure is also officials admitting there is probably life out there in outer space. There is sufficient evidence to prove that the government did have a secret program to investigate odd aerial phenomena, but that doesn't mean UFOs are alien spacecraft. Tom DeLonge, the Founder, President, and CEO of To The Stars Academy Of Arts & Science has been vocal and very serious about aliens, UFOs, UFO Disclosure and putting an end to government secrecy. The company was built based on the frustration of government secrecy on the topics of space and the universe. Their aim of this organization is to explore the “outer edges of science,” bringing to light ideas presented by mainstream discourse and to try to discover proof of the existence of extraterrestrial beings. Former military intelligence officer at the Pentagon, Luis Elizondo has joined To the Stars Academy as Director of Global Security & Special Programs. In December 2017, To The Stars Academy released declassified UFO Documents including a video taken from a Naval F/A-18 aircraft that appears to show a swiftly moving "anomalous aerial vehicle" off the U.S. East Coast. In the audio, the pilots express awe at the speed of the object. For decades, Americans were told that Area 51 didn’t really exist and that the U.S. government had no official interest in aliens or UFOs. The Pentagon has officially confirmed that there was, in fact, a $22 million government program to collect and analyze “anomalous aerospace threats” — government-speak for UFOs. There is powerful evidence in the form of declassified UFO Documents and videos exposing the guarded reality of large research and development facilities existing in huge natural cavern systems under the Antarctic ice sheets.